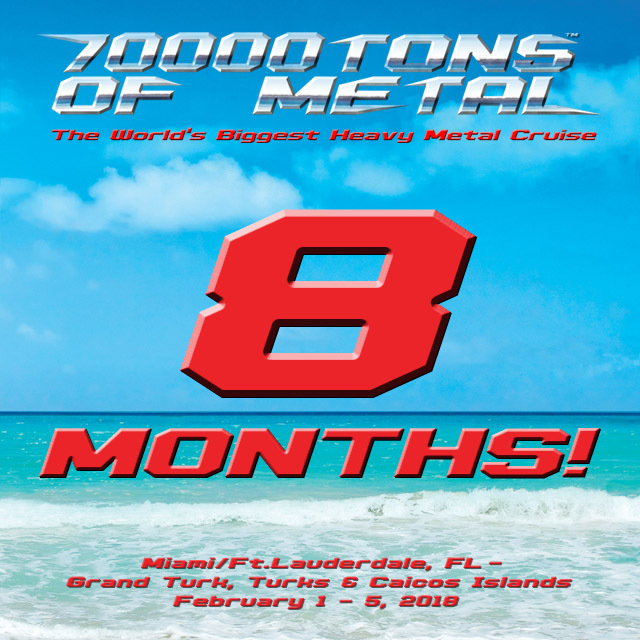 Only 8 Months until Round 8 of 70000TONS OF METAL™, The Original, The World’s Biggest Heavy Metal Cruise! Your ultimate Heavy Metal vacation will set sail on board the Independence of the Seas, leaving from Port Everglades, FL on Thursday, February 1st 2018 to to your Caribbean dream destination: Cockburn Town, Turks and Caicos Islands. We will return you to the real world on Monday, February 5th. Stay tuned to our social media pages @70000tons and our Official Website, as we will be releasing more information on ticket sales as well as the initial Artist lineup SOON! ← #SurvivorsAsk: Interview DRAGONFORCE for 70000TONS.tv!